2. A survey conducted by Animoto, an animated video maker tool, found that 4 times as many consumers would rather watch a video about a product than read about it and interestingly, 1 in 4 consumers actually lose interest in a company if it doesn’t have a video. 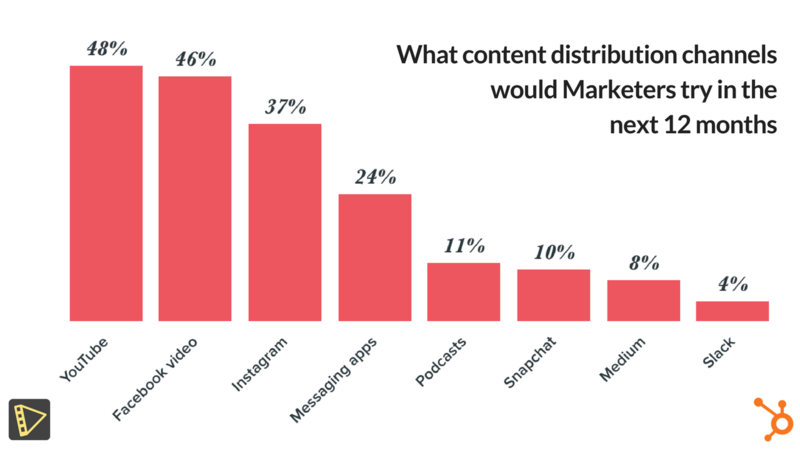 Hubspot’s study highlights the importance of videos for marketers going forward. While it’s clear from the above statistical findings that video performs much better than a texty website to engage your prospects, it’s also important to understand how to leverage your video for conversions. The most important aspect to learn here is Call to Actions (CTA), which is nothing but a means to the singular goal you want to achieve using the video. If it’s your blog, your intention might be to add the audience to your subscribers list. If you are selling a product, you might want to take the user to ‘buy now’ experience at the earliest. If you are an affiliate or influence marketer who is promoting a business or product, your sole intention would be to boost your commission by using video as a medium to talk about the business / product. Based on these different goals, a video that’s part of your website can be used to accomplish a goal using call to actions. It can also be inferred from a few marketing case studies that video is the best container to have CTA on a website for conversions. KISSmetrics found that a CTA within a video gets 380% more clicks than their normal sidebar CTAs. The most popular call to action in a video is the capability to take the viewer to a desired website or webpage upon performing an action on the video. However, with YouTube deciding to shelf annotations, it has become increasingly difficult for video creators to link their videos with desired CTAs. While there are a few services that let you add links and clickable logos on embedded videos, most of them don’t feel like a part of the video and hence give a spammy appearance. While it’s established beyond doubt that interactive videos with call to actions can boost conversions, the challenge has largely been around making the experience non-intrusive and engaging. This problem could be addressed by leveraging motion graphics that in itself is known to improve engagement and context in a video. Manjula’s Kitchen, a YouTube creator with close to half a million subscribers has seen that watch time on her videos went up 30% with motion graphics while engagement metrics shot up 3X. Motion Graphics can make videos engaging and informative. Now imagine the power of these motion graphic templates when they can be used to add call to actions that guide the viewer to the preferred destination in a non-intrusive fashion. This is precisely why we are building Videozyme – marry interactive videos with motion graphics to provide an enthralling experience for the audience while improving conversions for the business owner or marketers to a great extent. This experience would come in handy for anyone who sells using a video – be it a blogger, a business owner, a YouTube creator or an affiliate marketer. How this would transform online video marketing, we will need to wait and watch. However there is no doubt that interactive videos is a way forward for online marketers. Hope you liked this post. Please feel free to share your thoughts about other ways to boost business conversions using videos that have worked for you or other marketers on the comment section below!